TUALATIN — The Tualatin High School boys basketball team will definitely have a different look this season. Rick Osborn, the only varsity head coach the Timberwolves have ever had, has stepped down from the post. Alexis Angeles, the high-scoring guard and two-time Three Rivers League Player of the Year, has graduated. 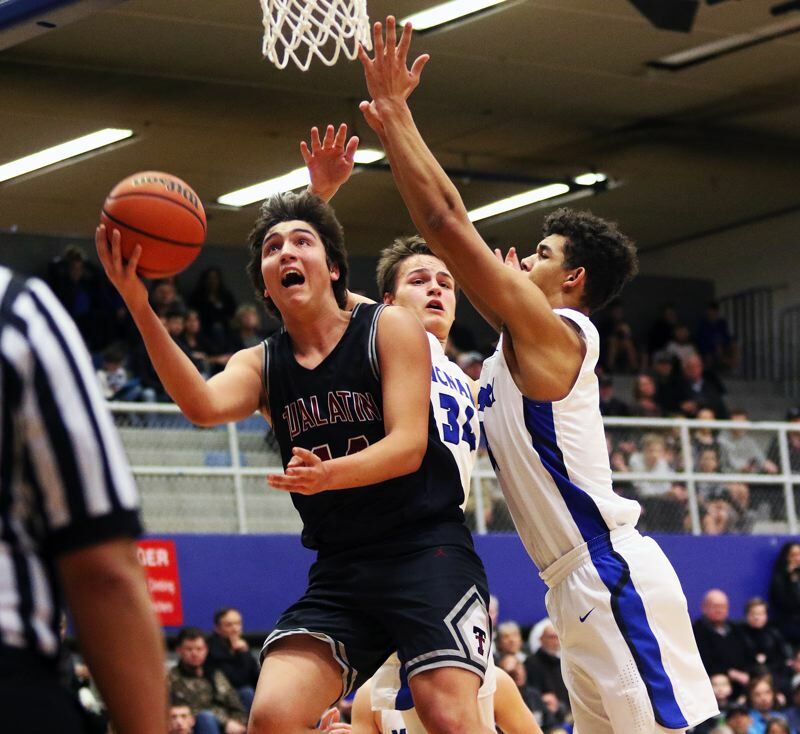 But the new-look Tualatin squad is still carrying some high hopes into the 2018-19 season. 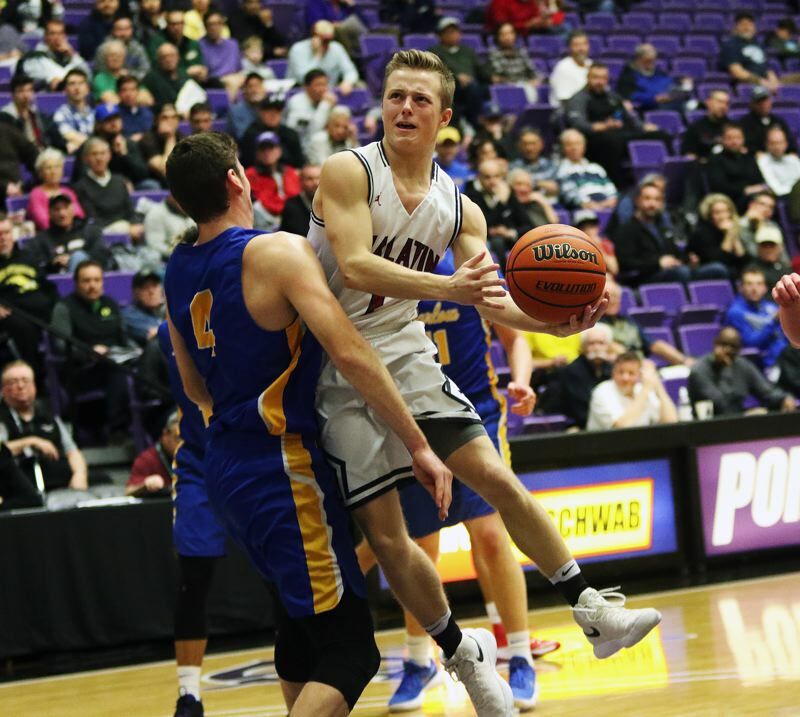 "Our general outlook is that we feel that we will compete for one of the top three automatic bid spots for the playoffs," new Tualatin head coach Todd Jukkala said. "We expect to be in a position to compete for a playoff spot in state regardless of league results though." While Jukkala might be the new Timberwolves' boys basketball head coach, he's surely not new to Tualatin. 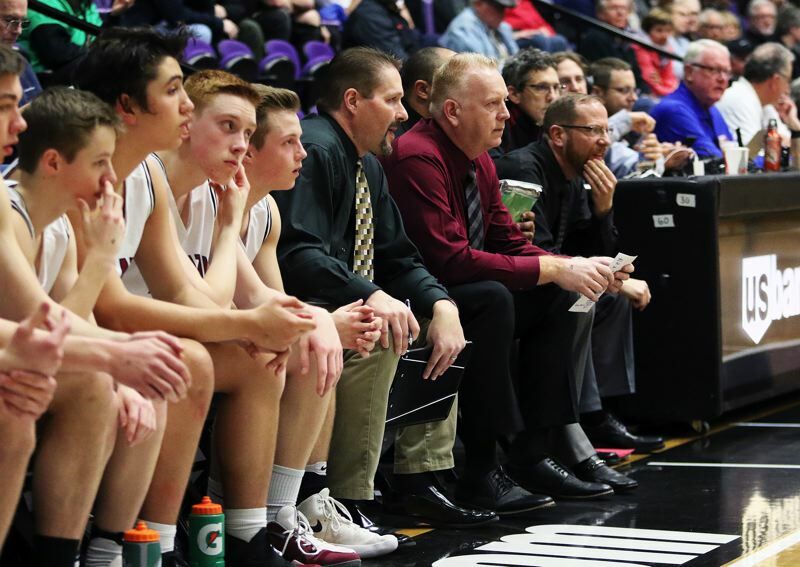 Jukkala previously was the varsity girls basketball head coach at Tualatin, and he also served as an assistant boys basketball coach the past few years. The Wolves also have a group of key returnees from last year's squad that finished fourth in the final Three Rivers League standings at 8-6, while going 19-10 on the season and reaching the Class 6A state tournament for the first time since 2008. Among those returnees are a group of seniors with strong varsity experience in guard Caden Dickson (5-foot-10), guard Derek Leneve (5-10), wing/post Jack Rose (6-3) and post Bridger Steppe (6-3). "Team leaders are still being identified but long-time varsity players like Caden, Jack, Derek, and Bridger are emerging as strong candidates," Jukkala said "We will rely on all of their experience and hard work in order to have a successful season. All of them have improved their individual games and seem poised to take on more responsibility in the absence of last year's departing seniors." The Wolves also have another returning starter in junior wing/post John Miller (6-2). 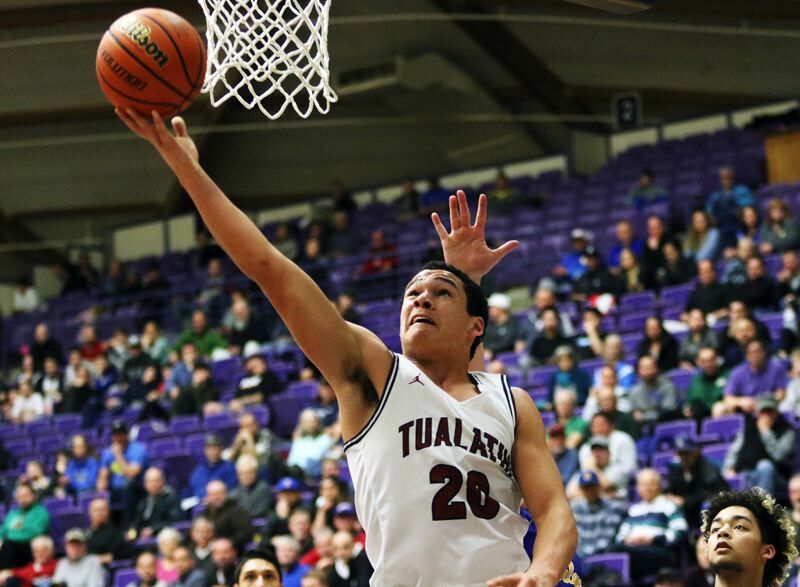 Other varsity returnees for Tualatin include senior wing Jason Wisler (6-3) and junior guard Sam Noland (6-1). Newcomers to the Timberwolf varsity include senior post Cole Spires (6-4), senior wing David Mitchell (6-1), senior wing Sam Watts (5-9), junior wing David Ulwelling (6-1) and sophomore wing/post Logan Shaw (6-4). "Our experience, athleticism, and competitiveness," Jukkala said of the team's possible strengths going into the season. "The question marks are how will we deal with size disadvantage and a very tough schedule." As for the Three Rivers League this season, Jukkala sees a lot of strong competition ahead for the Wolves. "I believe that we play in the toughest league in the state," he said. "Every game will be a tremendous challenge. Although every team in our league is tough, I think that Lake Oswego, West Linn, and Tigard will be among the toughest teams in our league, as well as the state. We expect to be competitive with these teams and will benefit from being able to play them." 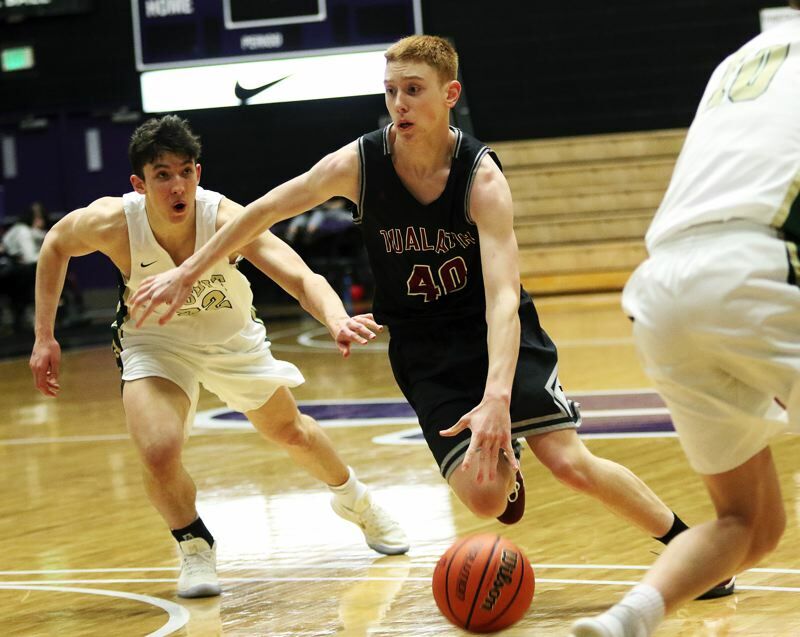 Tualatin opened its season on Friday with a 72-62 loss to Class 5A powerhouse Silverton in a non-league game played at Tualatin High School. The Wolves will be back in action Tuesday, when they host Wilson in a non-league game starting at 7 p.m. On Friday, Tualatin will travel to David Douglas for a 7 p.m. non-league contest.